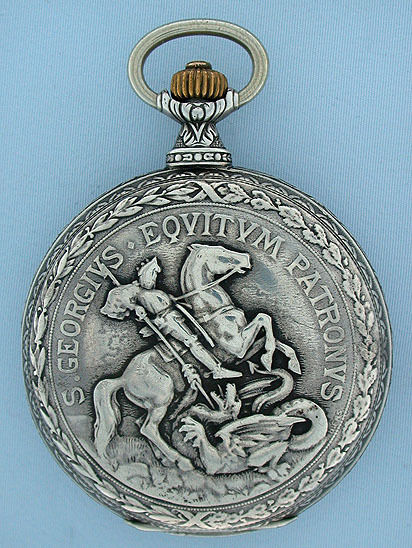 Very unusual Elgin 16/S antique pocket in a nickel huting case with St. George slaying a dragon circa 1883. 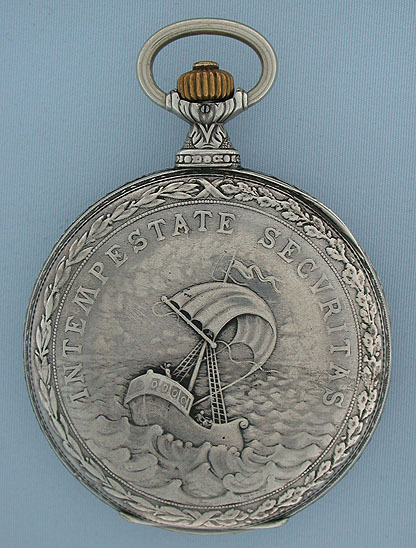 The case with decorated bezels and pendant. 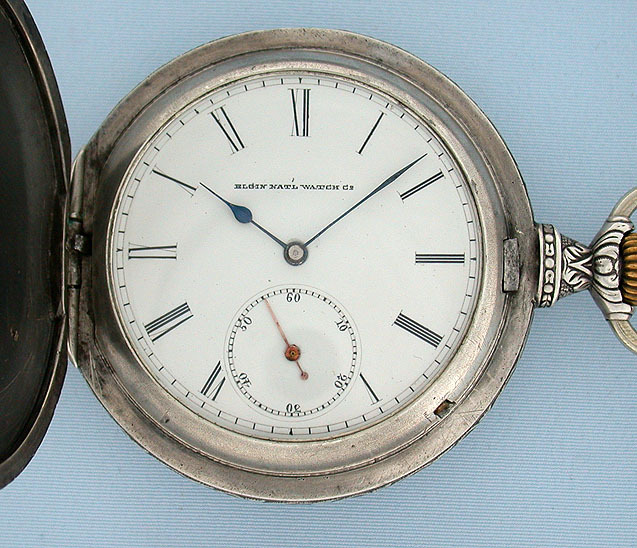 White enamel dial. Gilt 11 jewel convertible movement. 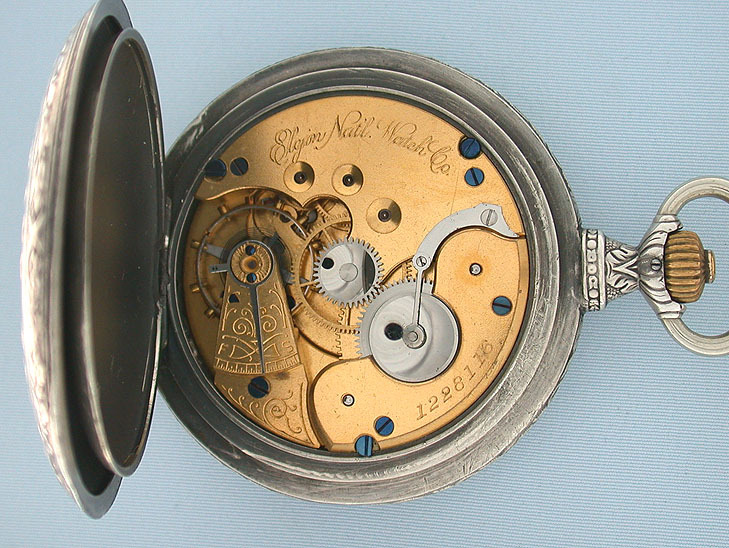 This movement can be fitted to either an open face or a hunting case.